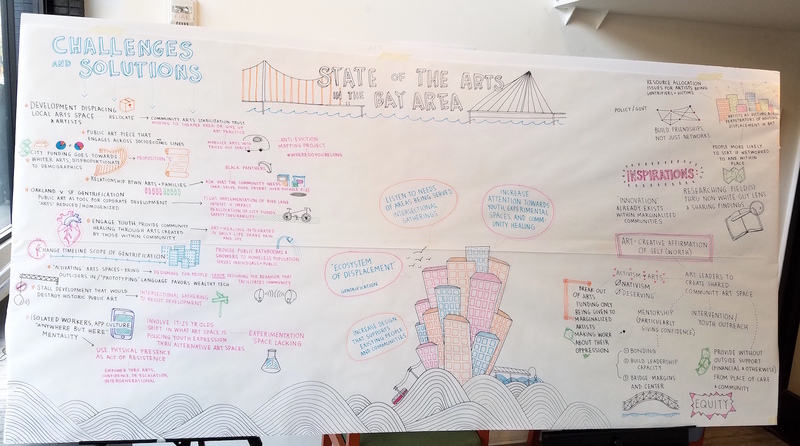 Come ready to discuss the state of Bay Area Arts/Culture – What are the challenges, opportunities and assets at present and what would an ideal future would look like? We want you to wear your futurist hat in November. This will be our opportunity to further develop team building and communication skills through the afternoon exercises. Patricia Cariño is the Curator and Director of Public Programs at the San Jose Institute of Contemporary Art (ICA). At this California institution, she oversees exhibition coordination including research, interpretation, and presentation of 8–10 contemporary art exhibitions per year. Additionally, she develops public engagement initiatives including ICA Live!, a performance art program, and Talking Art, a series of panel discussions and artist lectures, portfolio reviews, and workshops. 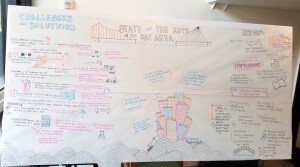 Prior to her current role at the ICA, Cariño worked at the intersection of arts and sciences as the Public Programs Coordinator and Development Specialist at the Exploratorium in San Francisco. 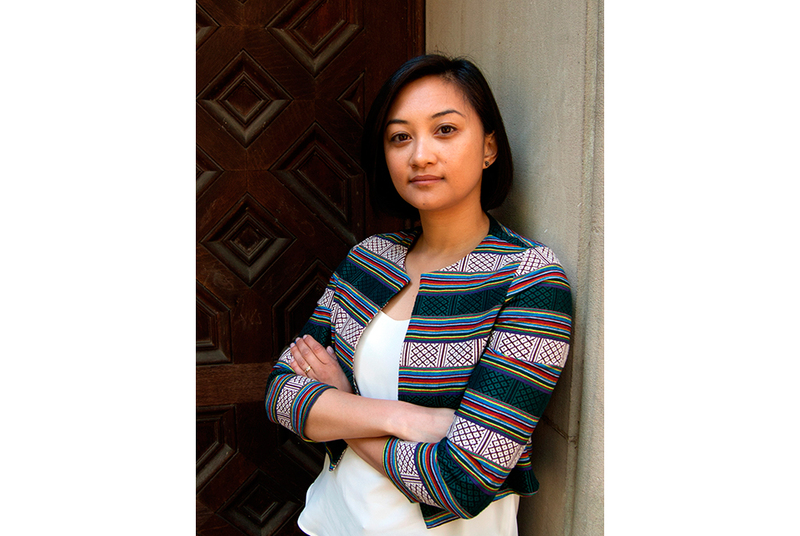 Cariño’s curatorial projects have been held at the Wattis Institute for Contemporary Arts, Asian Contemporary Arts Consortium, Oakland Museum of California, Pro Arts, California College of the Arts, and numerous independent galleries and art spaces in San Francisco and Oakland. She was born in Manila, Philippines and grew up along the West Coast of the United States. Cariño earned a BA in Art History from the University of California, Berkeley and an MA in Curatorial Practice from the California College of the Arts. 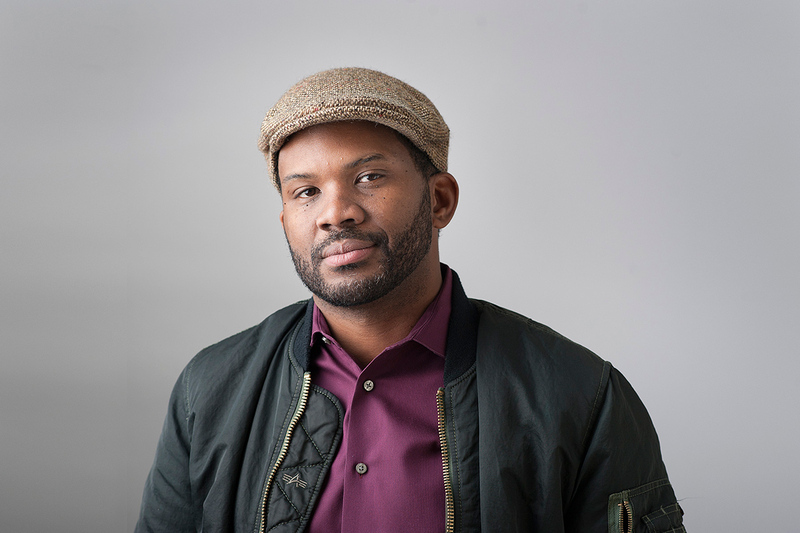 Demone Carter has played many roles within the Silicon Valley arts and education circles for the past fifteen years. Performing under the name DEM ONE, he has released several albums and collaborated with notable hip hop artists like D-Styles, Motion Man, Chali Tuna, and Bambu. In 2014, he was given the Leigh Weimers Emerging Artist award from San Jose Rotary Club. Demone co-founded Unity Care’s Hip Hop 360 after-school program. From 2004 to 2010, Hip Hop 360 provided over 1,000 youth the opportunity to express themselves through the four elements of hip hop. Building on his experiences with Hip Hop 360, Demone started FutureArtsNow! The FutureArtsNow! program seeks to fill the void left by vanishing school arts and programming by giving local youth an outlet for expression. FutureArtsNow! has received recognition from San Jose Job Corps (Service to Youth Award) and the City of San Jose (State of The City Honoree). Demone is also Vice Chair for the community access organization CreaTV San Jose and is a graduate and Program Manager of the Multi Cultural Artists Leadership Institute (MALI). Metro Magazine named Demone “Silicon Valley’s Best Mentor” for 2013.
Who and what are connected to this special center? It could be an artist, organization, main event, feature, or product. Be prepared to share an example of a time you used the frame of “Understand the difference between intent and impact,” this is from our Agreements on Multicultural Interactions.